Alan Curtis is on Facebook! RadioIndy is pleased to announced that we have published our CD Review of Alan Curtis music to Facebook. FANS - Please Facebook review and sample / purchase some great new music! 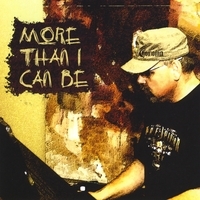 RadioIndy is pleased to present Alan Curtis with a GrIndie Award for the CD "More Than I Can Be"
On his first solo album, “More Than I Can Be,” Alan Curtis blends an array of roots rock influences with creative arrangements. The CD opens with “Ten in Heaven,” a retro allusion that could lend itself to the likes of Brian Wilson or The Traveling Wilbury’s while not swaying too left of contemporary. Through vocally driven songs, Curtis establishes his unique character while also keeping the layering fresh and engaging throughout. With a heartfelt piano ballad as heard on the title track “More Than I Can Be” followed by dance inducing beats, Curtis’s love for rock n roll is lucid in each song. Feel the driving drum beats on “Greed (Money, Money, Money)” while vocals belt out melodic lyrics and the organ holds solid chord progressions. If your old Tom Petty records have lost their thrill, this new CD may be a solid successor. Alan Curtis Press Release on Digg.com! As part of our ongoing promotion with RadioIndy, we have published a press release of our truncated CD review. The more DIGGS, the more exposure! DIGG, DIGG IT, DUGG, DIGG THIS, Digg graphics, logos, designs, page headers, button icons, scripts, and other service names are the trademarks of Digg Inc.
"More Than I Can Be" Reviewed by RadioIndy.com!